One area of building construction that needs to be designed correctly is in the use of percolation systems. Not only is it important for the environment, the use of such a system that is not designed correctly can have rather odorous consequences. King Group, CES will help you decide which percolation system is best for your home or business, as well as installing it within the guidelines set forth by the Environmental Protection Agency. There are two main types of on-site percolation systems: a septic tank system and a mechanical aeration system. King Group, CES can offer advice which is best for your home or business. A percolation system should protect public health and the environment, require minimum maintenance, be economical, and should have a long life span. A septic tank system will require the use of a tank to remove solid waste and a soil percolation area that works as a biofilter to purify the wastewater. A mechanical aeration system uses a series of filters to meet the requirements for the treatment of wastewater. In most cases, a septic tank system is the preferred method; however, a mechanical aeration system can be used when a typical septic tank system is not advisable due to soil or other environmental conditions. King Group, CES is dedicated to providing you with information you need to make the right decision about your property’s percolation system. They will help you select a system that will minimize the chance for problems in the future. King Group, CES can also help you choose the system that will have the least environmental impact in terms of water usage and the purity of the final wastewater. King Group, CES provides quality building services, including percolation systems. The workmanship and materials that are used in each project are not subject to short-cuts. King Group, CES will give you a written estimate on each project and will stick to that estimate. 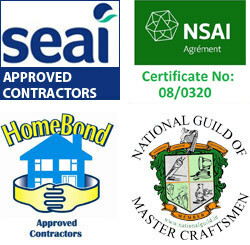 The services and materials are guaranteed. King Group, CES takes pride in offering their clients the best in customer service, as well. Choose King Group, CES, a company with a proven track record of satisfied customers. For further information on Percolation Systems call King Group, CES on 045 838376 or click here to complete our free online enquiry form.